In his first official meeting with the biopharma industry, President Donald Trump repeatedly delivered a clear message: Get U.S. drug prices down. Way down. The flip side of his message was to other countries: Start paying your fair share of drug development. “We’re going to end global freeloading,” he said, as he promised to make drug price controls in other countries a nonstarter in future trade talks. His meeting Tuesday with the Pharmaceutical Research and Manufacturers of America (PhRMA) and the heads of several major U.S. drug companies came a day after the U.S. officially withdrew from the Trans-Pacific Partnership (TPP) agreement the Obama administration had signed onto. The agreement, panned by Democrats and Republicans, was never ratified by Congress. 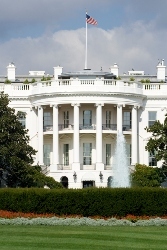 Biopharma goes to the White House and talks pricing, regulations, jobs | BioWorld.